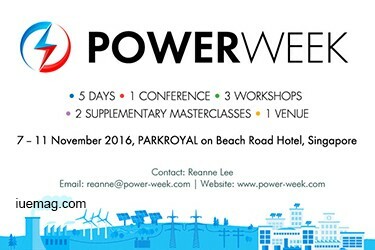 It’s second year that Power Week will be host in Singapore. This year, 20 eminent speakers have confirmed their participation. They will be sharing their perspectives and experiences on policy & regulations, technology innovations for generation / transmission / distribution, environmental impacts, fuel supply sources, renewable / hydro / nuclear / gas to power developments, power trading, IPP projects, investment & financing, power contracts & negotiations, etc. Any facts, figures or references stated here are made by the author & don't reflect the endorsement of iU at all times unless otherwise drafted by official staff at iU. This article was first published here on 18th July 2016.